Alaska Gray 6x24 Ledger / SOLD BY BOX OF 6 SQ FT. Sample is small swatch and size varies from 3x3 to 6x6 Inches. The color you see here might be different from the actual shipment. Natural stone varies and so does computer screen pixels. Please do not use these images to base your decision. Order a sample and ask us for current lot pictures. Alaska Gray Ledger Panel 6 in. x 24 in. Wall Tile is a Natural Stone Travertine with a blend of contemporary silver and gray tones. The tile features random strips of stacked stone glued together for ease of installation. Each piece has an S-shaped end that helps interlock the pieces and enhance the random look. This tile can easily be laid in a pattern or single layout and is suitable for residential and commercial installations. Alaska gray has corner piece available on request 6x18x6. Thickness : 3/4 to 1"
This material is great and cannot wait to use it in our new fireplace project!! Hello - we were very happy with the stone. No broken pieces and it looks great. Only problem we ran into is that we didn't order enough. Totally our fault, but since it would cost me another $200 in shipping to order more we decided to finish the hearth in tile instead. 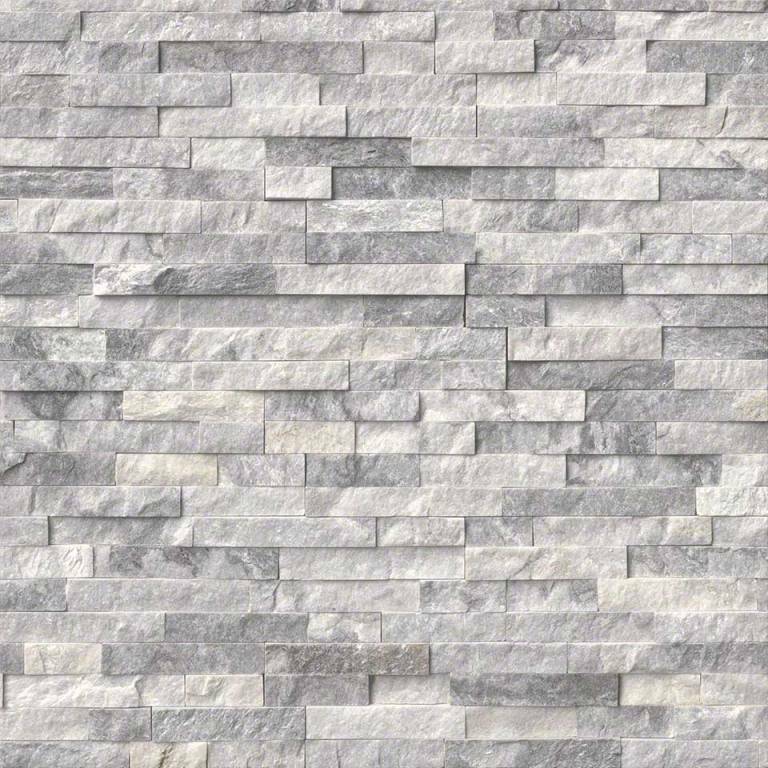 I bought the Alaska Gray Ledger Stone for my fireplace and wall; I absolutely love the look! !